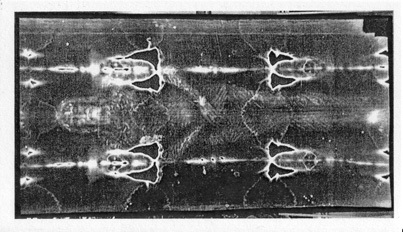 The Shroud of Turin is a linen cloth bearing the image of a man who appears to have been physically hurt in a manner consistent with crucifixion. It is kept in the royal chapel of the Cathedral of St. John the Baptist Catholic Church in Turin, Italy. 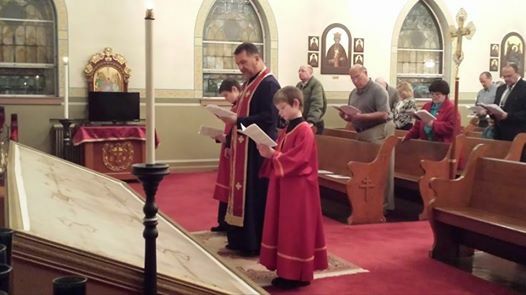 The Shroud is rectangular, measuring 14.3 feet x 3.7 feet. The cloth is woven in a three-to-one herringbone twill composed of flax fibrils. Its most distinct characteristic is the faint yellowish image of a front and back view of a naked man with his hands folded across his groin. 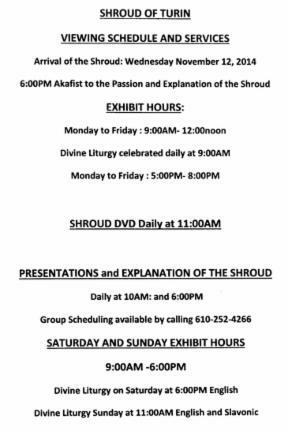 Holy Ghost Church is blessed to have an authentic Vatican Replica of the Shroud of Turin on display for ten days. This replica, one of only nine in existence throughout the world, is an exact copy of the Shroud of Turin which is believed to be the burial cloth of Jesus Christ. This replica was blessed by Pope Benedict, has been touched to the actual Shroud of Turin, and contains the same blessings as a second-class relic.